Panjab University MET 2017 Application Form: Panjab University has released the official notification related to the admission of MBA courses in University Institute of Applied Management Sciences (UIAMS). You can get the direct link at the bottom of this web page to fill the application form for admission to MBA (sectoral) programmes at UIAMS (MET 2017). Interested candidates have to read the instructions carefully before filling the PU MET 2017 application form. You can get all necessary information regarding the PU UIAMS 2017 admission form from our examlevel.com web portal. If you are having any queries related to the Punjab UIAMS MET 2017 Registration Online Application, comment it in the box available below. Candidates are eagerly waiting for long time to get the latest updates about the Panjab University UIAMS MET 2017 Notification. But they are not able to get any information related to the PU MET 2017 registration process. They are advised to visit this web page regularly to obtain the new updates about the Panjab University UIAMS MET Online Application Form 2017. Aspirants think that the registration process is difficult for Punjab PU MET 2017 but it is not correct. Candidates can apply for the PU UIAMS 2017 MBA Entrance Exam 2017 easily through the online official website. We will provide the complete guidance to apply for the Panjab University UIAMS MET 2017 Registration in this page; you have to make use of it. MBA (IT \ Telecommunication \ Infrastructural): BE or B.Tech in any discipline from recognized university with 50% marks. MBA (Retail \ Banking & Insurance): Bachelor degree in any discipline with 50% aggregate marks. MBA (Pharmaceutical): Bachelor degree in Pharmacy with 50 % marks. MBA (Hospital Management): Applicants should possess MBBS \ BAMS \ BHMS \ BDS \ B.Pharm, BPT, BSC (Nursing) from recognized University. 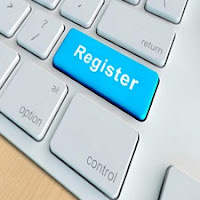 Students have to follow some instruction in the online official web portal to complete the online application form registration process. Now a application number and password will be generated and note down the details. Candidates have to download the deposit slip from the website. They have to deposit in any branch of SBI. Aspirants can also do the payment by net banking, debit or credit card. Aspirants have to edit the photo and sign in prescribed format. Then they should upload it in the online official web portal. Applicants have to login into the website by using the registration number and password. After 24 hours, you have to enter the journal number in the web portal. Now fill other mandatory details in the online application form. Aspirants should check the details filled in the application are correct. They have to take the printout of the submitted application form. Finally they should send the envelope containing the application to correct destination. Address: Assistant Registrar, University Institute of Applied Management Sciences, South Campus, Sector - 25, Panjab University, Chandigarh - 160 014.